Raymond Baril is Assistant Professor of Music and Head for Winds and Performance Studies in the Department of Music at MacEwan University, and has been Director of the MacEwan University Jazz Ensemble for 31 seasons. He is in his 19th season as Artistic Director and Principal Conductor of the Edmonton Winds and is also director of the River City Big Band. Raymond remains a much sought after national clinician and adjudicator as well as a featured guest speaker at music education conferences across the country. Raymond holds a graduate degree in conducting from Northwestern University, undergraduate degrees in both performance and education from the University of Alberta, where he is currently working on his Doctorate in Saxophone Performance. This year Raymond was recognized with a Distinguished Teaching Award from MacEwan University. 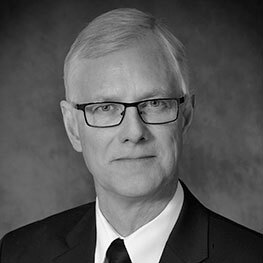 In the past, he has been the recipient of many awards for his contribution to music and music education including the Tommy Banks Award, the David Peterkin Memorial Award, the Elkhorn Award for Director of the Year, a Best Teaching Practices Award, an Edmonton Public Schools District Service Award and an Excellence in Teaching Award from Alberta Learning. Erica Hudson, a native of Chicago, Illinois, first started playing the violin at the age of three. She completed her undergraduate degree at Carnegie Mellon University where she studied with Cyrus Forough and completed a Performance Diploma in Orchestral Studies at Indiana University’s Jacobs School of Music with Alexander Kerr. During her time at Indiana University, she was selected to be an Assistant Instructor of Violin as well as the Concertmaster of the IU Philharmonic Orchestra. Erica has participated in the New York String Orchestra Seminar and has been a fellow at the Tanglewood Music Center where she served both as Principal Second violin and Concertmaster. Hudson was also awarded a fellowship at the Aspen Music Festival and School through the Talented Students in the Arts Initiative where she was a mentor of the Aspen Philharmonic Orchestra. 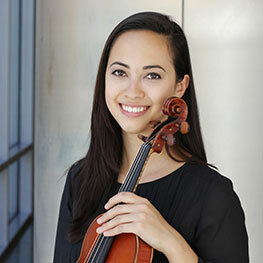 Before joining the Calgary Philharmonic, Erica was in the Dallas Symphony Orchestra and Jaap van Zweden Scholars Program, where she had the unique opportunity to rehearse and perform with the symphony as well as take lessons with many of its members. Manon Mitchell, originally from Laval, Québec, has called Calgary her home since 1990. Growing up in household where both parents were music teachers, it was inevitable that music has always been an integral part of her life. She obtained her Bachelor’s degree in Science from McGill University and spent close to 30 years facilitating change as an Information Technology trainer, communicator and project manager. She has always maintained a passion for music and has always participated in community musical groups including orchestra, bands and musical theatre. Her orchestral experience began at age 12 playing violin in the Orchestra Symphonique Junior de Laval and the Montreal Philharmonia. Manon has also been involved in the organizing committee of the Rotary Calgary Concerto Competition for the last 18 years. 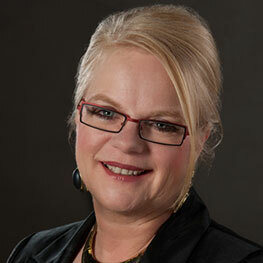 She joined the Calgary Civic Symphony in 1992 and has served on the board for many years. She continues to play in the violin section and provides leadership, as President, to ensure all aspects of the organization are geared to deliver a great musical opportunity for the players as well as the listeners. Manon is a member of the Rotary Club of Calgary and oversees international projects in Cambodia and Uganda. She loves travelling, and you’ll find her in winter downhill skiing at Kicking Horse in Golden and hiking in the summer in our beautiful rockies. Her next big musical gig will be singing with the World Choir at the Rotary International Convention in Toronto this June. Having begun her piano study at the age of two with her father Dan Morin, Ms. Morin has been an active member of Calgary’s musical community for all of her life. Making her orchestral debut at the age of 10 with the Calgary Civic Symphony, she has been featured several times as guest soloist with orchestras in Canada, as well as to represent the Canadian Embassy in a performance tour showcasing Canadian talent. Ms. Morin holds her ARCT in Piano Performance from the Royal Conservatory of Music. She studied with Dmitry Nesterov at Mount Royal University to obtain her Diploma in Music Performance, and under the tutelage of Marilyn Engle and Charles Foreman in the Bachelor of Music program at the University of Calgary. With over fifteen years of teaching experience, Ms. Morin has a passion for sharing music education with the next generation. She was a faculty member of Mount Royal University’s Conservatory from 2008-2013 before establishing Morin Music Studio in 2014. Alongside her role as a committed pedagogue, she enjoys her position as owner and executive director of Morin Music Studio, a private music school that now offers classical instruction to over 700 students in Calgary. Ms Morin enjoys an active performance schedule. She has studied and performed in Europe including performances in Coimbra, Portugal at the Coimbra World Piano Meeting held by the Academia Internacional de Música de Aquiles Delle Vigne. She was recently awarded first prize in the Coimbra World Piano Duo Competition “Special Prize – Francis Poulenc” with her piano duo partner, Lana Henchell where they performed as guest soloists with the Orquestra Clàssica do Centro in the São Francisco Concert Hall. Mezzo Soprano Maura Sharkey-Pryma has enjoyed teaching voice and performance artistry to young and mature singers for over 20 years, and instructs from both her private home studio and studio at the MacEwan Alberta College Conservatory of Music in Edmonton. She trains students in classical, musical theatre, contemporary commercial music, song interpretation, extensive breathing and vocal techniques. 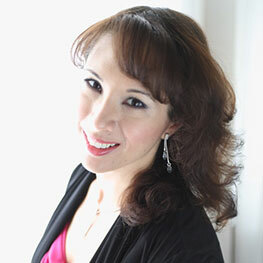 In addition to teaching, she serves as a provincial music festival vocal adjudicator. Maura Sharkey-Pryma began voice study at the University of Alberta, continuing her training at the Salzburg Mozarteum Sommerakademie and with various Canadian opera training intensives. She has enjoyed a professional operatic career within Canada as well as the international stage. She is the 1998 winner of the Western Canadian Metropolitan Opera Council Auditions, a two-time award winner of the Johann Strauss Scholarship (1997, 1999), and recipient of the Anne Burrows Foundation Scholarship (2001). She also was proud to represent Canada at the Queen Elizabeth Music Competition in Belgium in 2004. In addition to her work as a freelance vocalist, Maura proudly served on the Board of Directors of the Alberta Music Education Foundation (2011-2016). She has also co-authored a book with her husband, Raymond, entitled, The Essential Music Recital Planner, a step-by-step customizable planner to assist music teachers and students in developing a successful recital. She is a proud member of the National Association of Teachers of Singing, the Alberta Registered Music Teachers Association and the Canadian Music Festival Adjudicators Association.